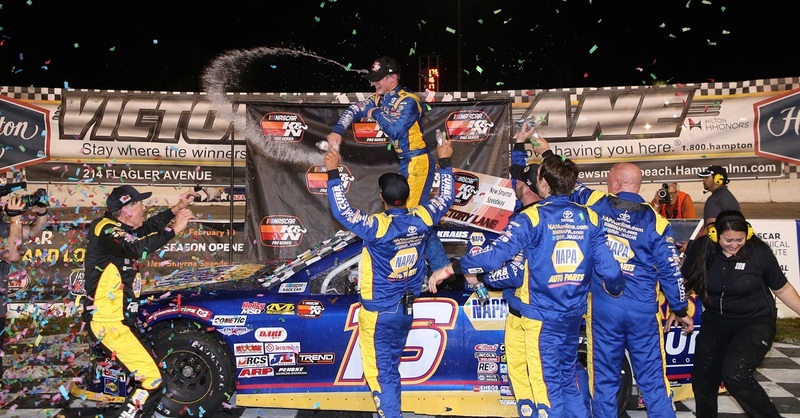 ROSEVILLE, Calif. (June 13, 2016) – Todd Gilliland returns to the NASCAR K&N Pro Series East this week to race on the half-mile track at Connecticut’s historic Stafford Motor Speedway. The Stafford 150 on Friday will mark Gilliland’s third event in the K&N East, as he competes in his rookie season. The driver of the No. 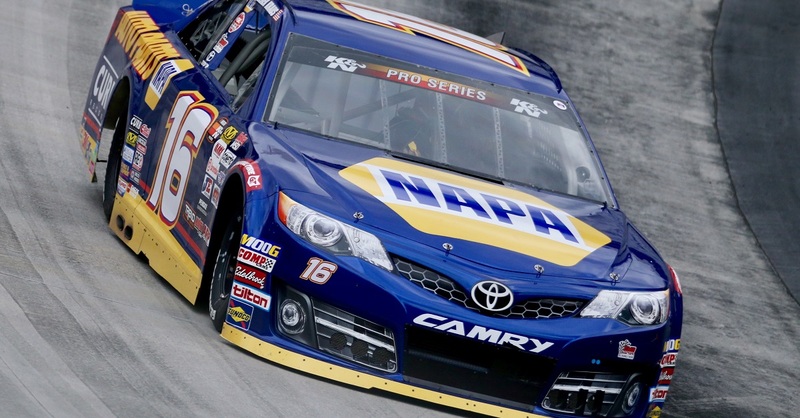 16 NAPA AUTO PARTS Toyota Camry is running the full schedule in the NASCAR K&N Pro Series West this year, while also competing in select K&N East races. 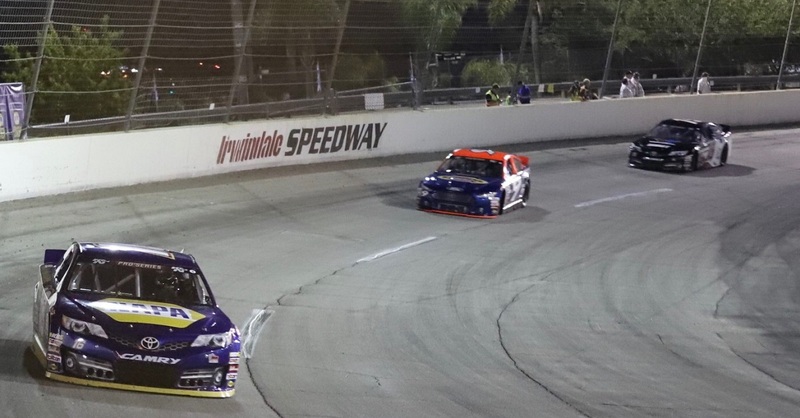 He won the K&N East season opener at Florida’s New Smyrna Speedway in February and finished ninth at Bristol (Tennessee) Motor Speedway in April. Gilliland, 16, of Sherrills Ford, North Carolina is a member of the NASCAR Next program that spotlights NASCAR’s rising stars. 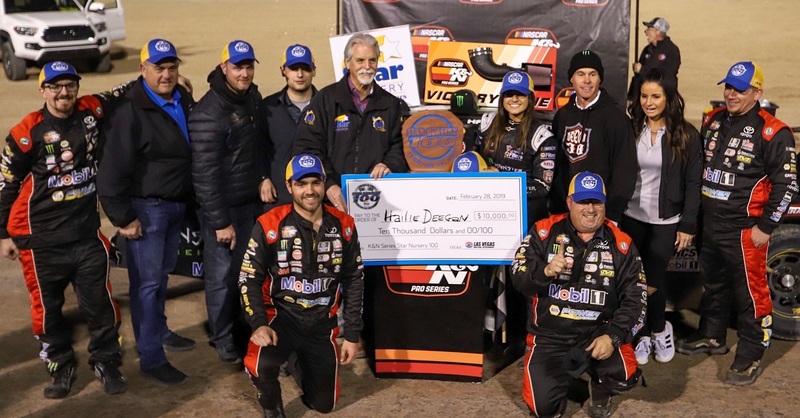 He leads the championship standings of the K&N West, and also leads in rookie points on that circuit – with two wins and five top-five finishes in the first five races. The K&N East schedule at Stafford includes an optional test time from 3 to 6:30 p.m. on Thursday. A final practice session is slated from 3 to 4 p.m. Friday, with qualifying set to get underway at 6 p.m. The race is scheduled to go green at approximately 9:15 p.m. The Stafford 150, which will be televised on NBCSN on June 23 at 2 p.m. ET, is the seventh event on a 14-race schedule this year for the K&N East. Stafford Motor Speedway has hosted 29 series events, dating back to 1987. When the circuit last visited there in 2008, Peyton Sellers took the win – followed by Trevor Bayne in second and Austin Dillon in fourth. 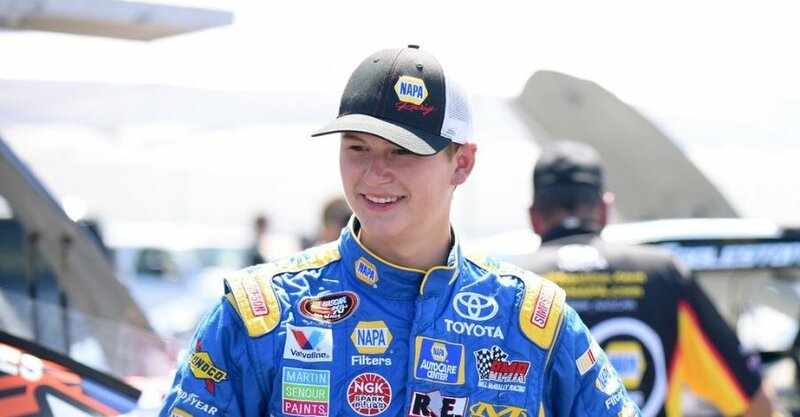 The K&N East race at Stafford is the second of six consecutive weekends of competition for Gilliland and his BMR team. His schedule includes three K&N East races: at Stafford, at Columbus (Ohio) Motor Speedway on July 2, and New Hampshire Motor Speedway on July 16; and three K&N West races: Colorado National Speedway on June 11; Sonoma (California) Raceway on June 25; and Stateline Speedway in Post Falls, Idaho on July 9. In addition, Gilliland is also slated to compete this year in K&N East races at Watkins Glen (New York) International on Aug. 5, and Dover (Delaware) International Speedway on Sept. 30.